I am jumping on the bandwagon and posting about the Super Hero Storytime that I did a few weeks ago for my library’s Free Comic Book Day event! As most of you know, I have given up themes for storytime, but I was happy to do a themed storytime for this special event. 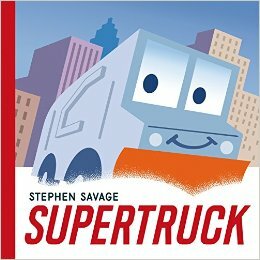 Not only was it fun, but it also gave me a chance to read Supertruck to a group! This book runs a teensy bit on the long side, particularly if your crowd skews to the young side. However, this is a great book to share with older children! 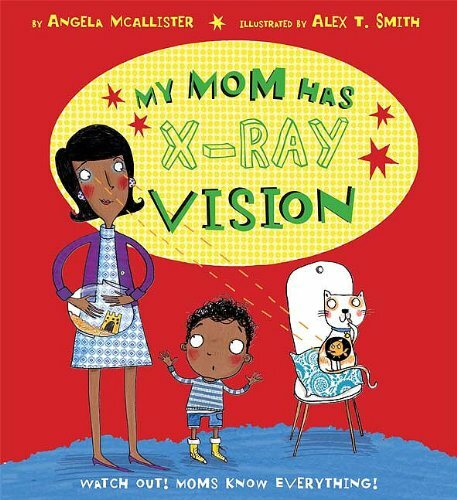 A young boy is convinced that his mom has X-ray vision because she can always tell when he’s up to no good. He tries to test his theory one day by hiding in a closet when he’s supposed to be helping Mom with the groceries. He’s convinced that if she finds him in the closet, then she has X-ray vision. However, Mom is too busy saving the neighbor to come find him, so the boy determines that she does not have X-ray vision. But when she catches him sneaking some snacks under his shirt, he determines that she has eyes on the back of her head! The twist at the end caused the adults to chuckle. This is my super hero rip-off of the ever classic little mouse game. I told children that a robber stole some money from the bank and hid it behind one of the stars on the flannelboard. I then told them that they were to use their X-ray vision to find which star the money was hiding behind. We did not do a rhyme with this one. 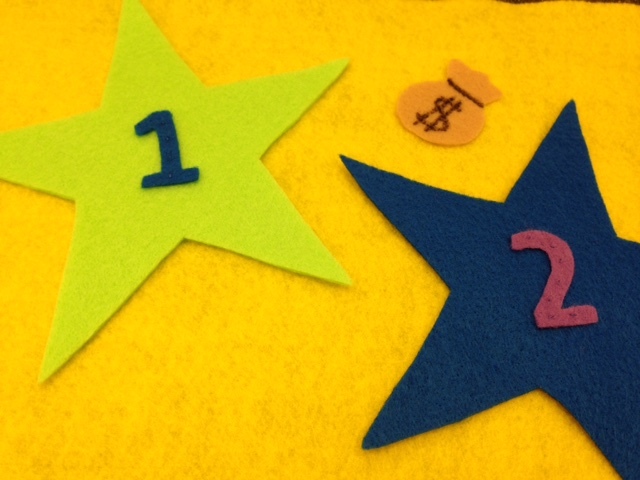 Instead, since the stars were numbered, I told children to hold up the number of the star that they think the money was behind, and I chose what seemed to be the most popular star. Again, this book was a smidgeon longer than what I normally read in storytime. (Or maybe I just tend to read really short books in storytime?) 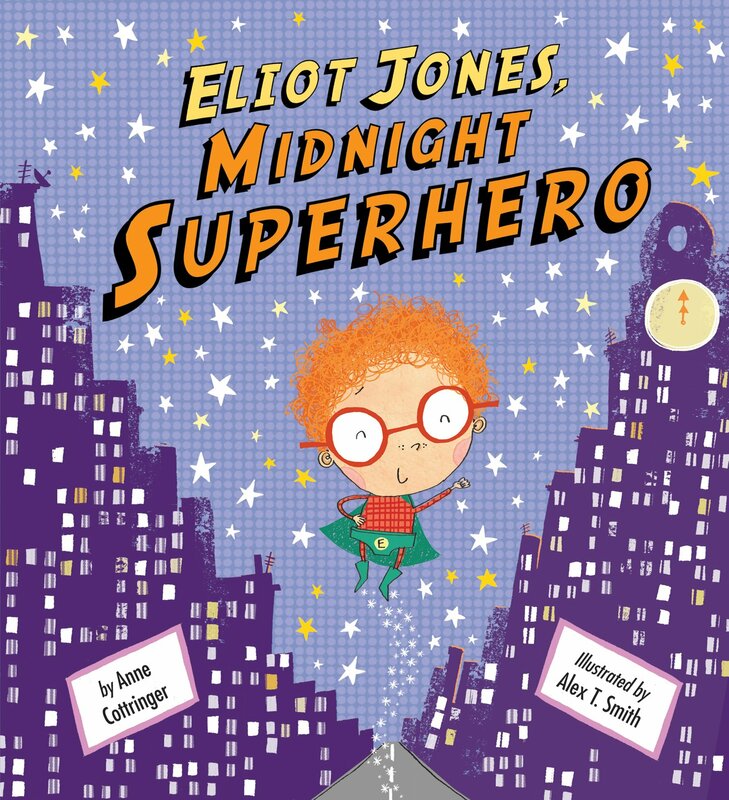 Eliot Jones is a quiet boy by day, but a superhero who saves the world by night. I loved the colorful illustrations in this, and despite the text being a little long side, it still flowed well for a read aloud. I got this rhyme from the amazingly talented Jbrary, and, while it’s not pictured, I used a flannel set that I based off of this one from Storytime Katie. This book is a more appropriate storytime length (for my standards at least). It’s told in rhyme that is easy to read and discusses all the things that super heroes may have/do. Flying this way, and that way, and that way, and this way. 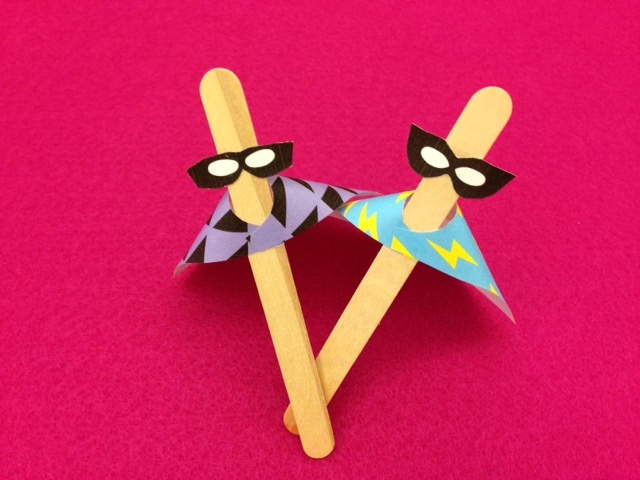 Rhyme credit goes to Jbrary, and the template for the Popsicle stick super hero puppets goes to Hello Bee. I loved this book from the moment I read the first review! Most days, Supertruck is a normal, bespectacled garbage truck. But when a blizzard comes, he takes off the glasses and puts on a plow and saves the day! 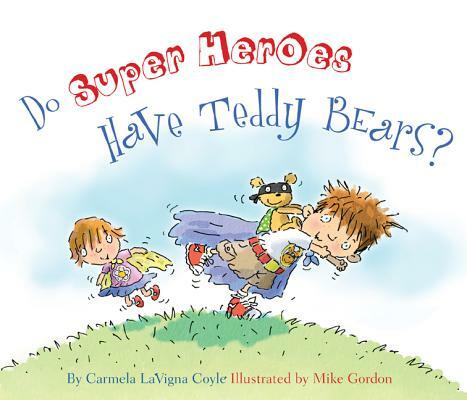 This was a very short book (perfect for those wiggly toddlers) with great illustrations! Thank you for the book suggestions! It’s been tricky finding books for the little peeps for this summer!